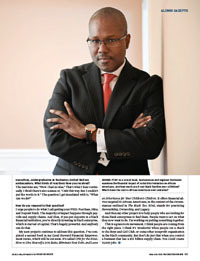 The premise isn’t new: engineer and business executive Shawn Rochester ’97, in a recent book, The Black Tax: The Cost of Being Black in America (Good Steward Publishing), shows myriad ways in which African Americans have borne and continue to bear financial costs rooted in racial discrimination. But while there’s been a steady outpouring of studies detailing racial discrimination in housing, consumer lending, e-commerce, the job search, social programs, and other aspects of American economic life, Rochester has found a way to organize and share that information to increase its impact. He surveys much of the research in the form of a slender paperback. 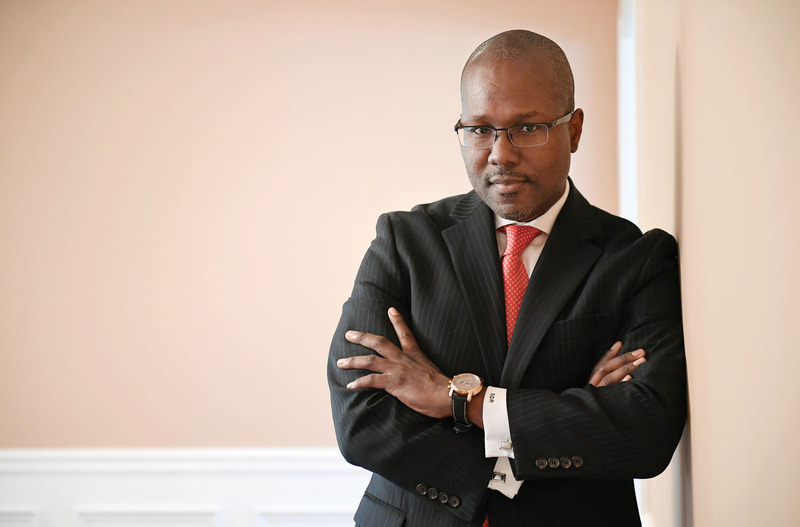 And while many studies focus on the discriminatory nature of policies, and the moral wrongs associated with them, Rochester notes that his book is among very few, if any, that examine the costs of being black through the lens of personal finance. Relying on research in journals of economics, law, and public policy, Rochester tallies the lost income of blacks, relative to whites, as a result of racial discrimination in the private marketplace as well as in government-sponsored economic development initiatives. The costs to black individuals and families are sobering. Take the example of a car purchase. Rochester looks at the research and adds it up: $1,100 more in purchase price; $500 more interest per year on an auto loan; an additional $500 more per year in insurance premiums, all of which could cost a black family more than $70,000 over a lifetime. When it comes to the aggregate costs associated with public programs and discriminatory laws, the figures are staggering. The list of programs from which African Americans were excluded, either explicitly or in practical terms, is long, including the land grants provided under the Homestead Act of 1862 (a $1.6 trillion loss), the Social Security Act (a $143 billion loss), and the GI Bill of Rights (up to a $45 billion loss). By the time he adds in an estimated value of uncompensated labor through nearly 250 years of slavery and the economic deprivation from 75 years of Jim Crow, he arrives at a grand total of more than $70 trillion. Rochester worked in industry after earning his bachelor of science degree in chemical engineering. He went on to earn an MBA from the University of Chicago’s Booth School of Business and worked for more than a decade in executive roles in global sales and distribution, mergers and acquisitions, and strategic planning before starting his own financial education and advisory service, Good Steward. The Black Tax is the first book in his Good Steward Financial Empowerment Series. When did you start thinking about what you call the black tax? But the trigger for actually doing it was when I was developing a course to help people with personal financial management. I realized that there are three things that prevent us as African Americans from accumulating wealth. One is that we are lacking the knowledge to put our limited resources to their best use. The next is that we do very little commerce with black businesses and service providers. The last is the massive cost of discrimination. If we had better access to information, we could actually accumulate significant resources, and if we did business with black enterprise, we could create millions of jobs. But the problem is, we also have biases against ourselves, and often view doing business with black enterprises as a cost or a form of charity. So I started looking at what the research says about the costs that we actually bear, and the idea really just started to evolve. It’s kind of like when you start pulling on that string on your sweater. Some really interesting things start to happen. Why do you think there have been so few efforts to quantify the costs of racial discrimination to African Americans? I think there are two things going on. We have a tradition of focusing on the injustice and the immorality of things. We have a tradition of focusing on civil rights and notions of coming together, which are important outcomes. It seems like there was an assumption that economic advancement would just flow naturally from civil rights. So economics took a back seat. There’s also just such little information out there about this story of continuous economic deprivation. I think we have a qualitative sense that things were bad. I think we have a qualitative sense that it was a long time ago. But as for how bad it was, it’s very difficult to come across this information. But my training fits into providing this information. So I thought, “Let’s try to quantify it.” And what I’ve found is a lot of people working on small portions of a large puzzle, creating the important elements of the calculation, but in many disparate places. You’ve spoken about the book to a range of audiences—a multiracial audience at Google, an elite group of black business executives, undergraduates at Rochester, United Nations ambassadors. What kinds of reactions have you received? How do you respond to that question? I urge people to do what I call getting your PHD: Purchase, Hire, and Deposit black. The majority of impact happens through payrolls and supply chains. And then, if you put deposits in a black financial institution, you’re directly investing in black enterprise, which is starved of capital. That’s hugely powerful. And anybody can do that. My next projects continue to address this question. I’ve completed a second book in my Good Steward Financial Empowerment Series, which will be out soon. It’s called CPR for the SOuL: How to Give Yourself a 20% Raise, Eliminate Your Debt, and Leave an Inheritance for Your Children’s Children. It offers financial advice targeted to African Americans, in the context of the circumstances outlined in The Black Tax. SOuL stands for practicing Stewardship, Ownership, and Legacy. And then my other project is to help people who are looking for those black enterprises to find them. People want to act on what they now want to do. I’m working on putting something together. This is a grassroots movement. I think people are coming from the right place. I think it’s wonderful when people cut a check to the Boys and Girl Club, or some other nonprofit organization in the black community. But don’t do just that when you control a business that has a $15 billion supply chain. You could create 10,000 jobs.